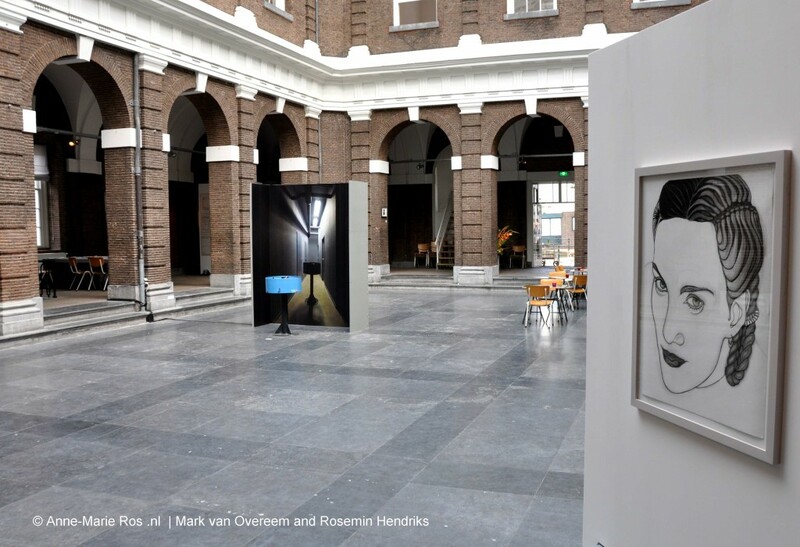 Join me for a free curator tour at Lange Haven 145 in Schiedam and learn more about the building and the artists work presented in 4 the Korenbeurs. For an impression check us on trendbeheer.com or read what visitors thought (PDF/in Dutch). This summer sales exhibition will run until September 9th from Wednesday through Sunday from 12:00 – 6pm. The entrance is free. 4 the Korenbeurs Schiedam is a unique summer group show curated by 4 guest curators: Berry Koedam, Johan Deumens, Anne-Marie Ros and Tanya Rumpff. 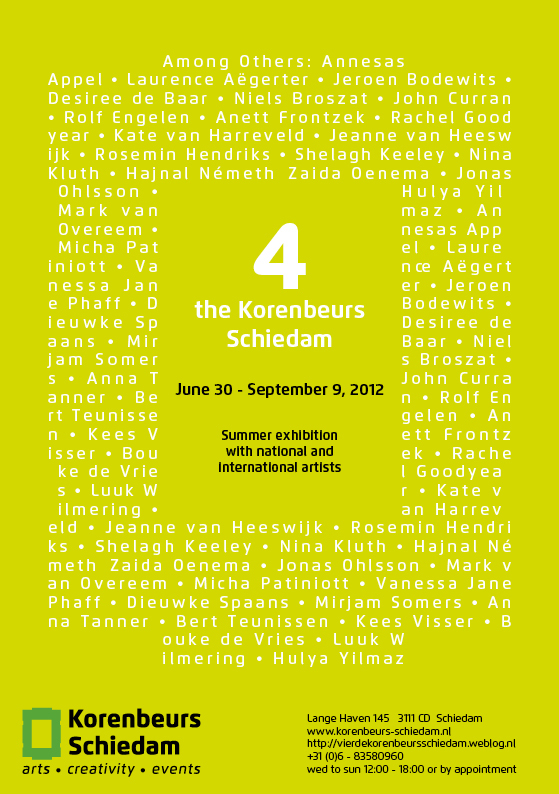 Collectively they are presenting a strong line up of national and international contemporary artists until 9th September 2012 in the Korenbeurs Schiedam, NL. I am proud to present the artists Anna Tanner, VS | Dieuwke Spaans, NL | Jeroen Bodewits, NL | John Curran, VS | Mirjam Somers, NL | Petra Werlich, NL | Rachel Goodyear, UK she has selected for ’4 the Korenbeurs Schiedam’. Check https://www.facebook.com/4DeKorenbeursSchiedam to see when she’ll be present at the Korenbeurs in Schiedam, when she will give guided tours. Anne-Marie Ros is also available by appointment for art collectors, just give her a call. This entry was posted in 4 the Korenbeurs Schiedam, Contact, Curating by Ros. Bookmark the permalink.